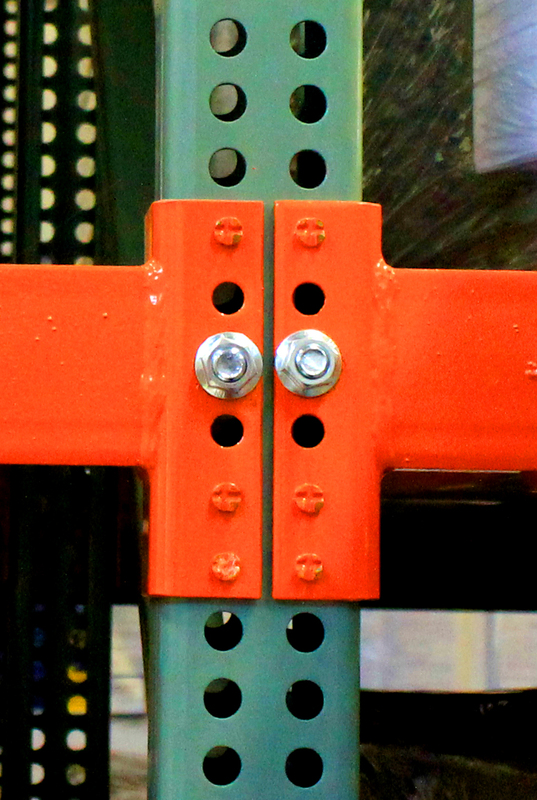 HiLine pallet rack utilizes 1″ center vertical holes for more adjustability. The beam connection utilizes 2 or more pegs that fit into the upright and uses a single nut & bolt connection to secure the beam in place. Various sizes in between available in smaller quantities.